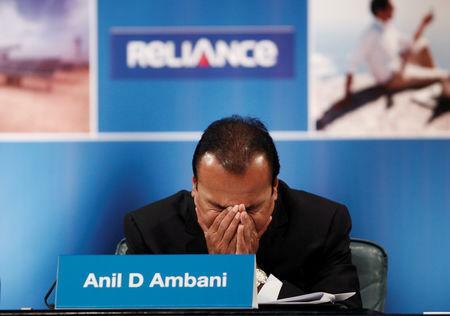 (Reuters) - Shares of Anil Ambani-led Reliance Communications Ltd (RCom) were locked in the upper circuit on Tuesday after his elder brother Mukesh Ambani helped pay off debt owed to Sweden's Ericsson. Telecom equipment maker Ericsson received 4.62 billion rupees ($67.42 million) from RCom as unpaid dues from a deal it had signed in 2014, a spokeswoman said on Monday. 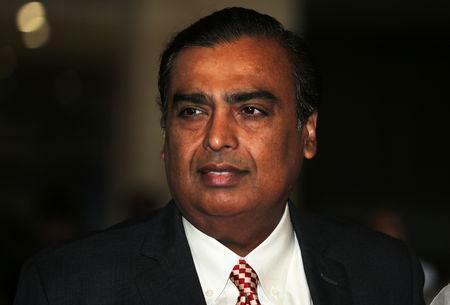 India's richest man Mukesh Ambani, who controls oil-to-telecoms powerhouse Reliance Industries, appears to have offered support to ensure Anil Ambani paid off total dues of 5.5 billion rupees ($80 million) to Ericsson. The nature of the backing or how it was delivered was unclear, but in a statement Anil Ambani thanked his billionaire brother "for standing by me during these trying times, and demonstrating the importance of staying true to our strong family values by extending this timely support". RCom called off the sale of its telecom assets to Reliance Jio Infocomm, the mobile telecoms firm controlled by Mukesh Ambani, citing failure to get approvals from lenders and the government. India's top court had last month ordered Anil Ambani and two RCom directors to pay Ericsson 4.5 billion rupees within four weeks or face a three-month jail term for contempt of court. Share of RCom rose as much as 10 percent to 4.4 rupees, in their biggest daily percent gain since Feb. 26.